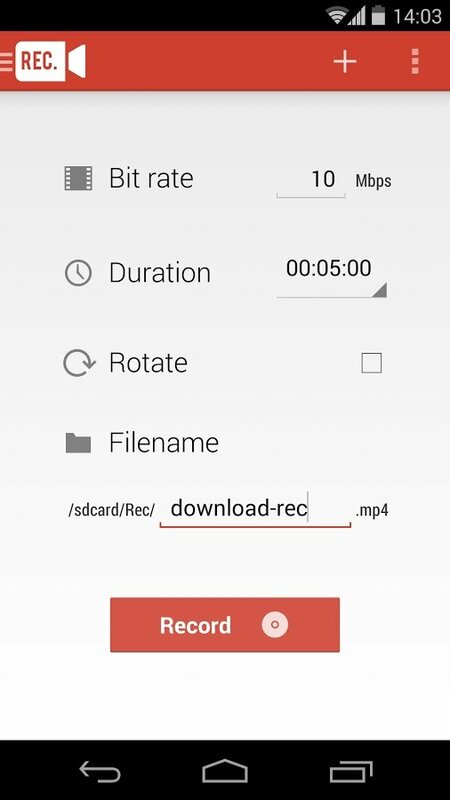 Creating screencasts on an Android phone is child's play with an application like Rec. 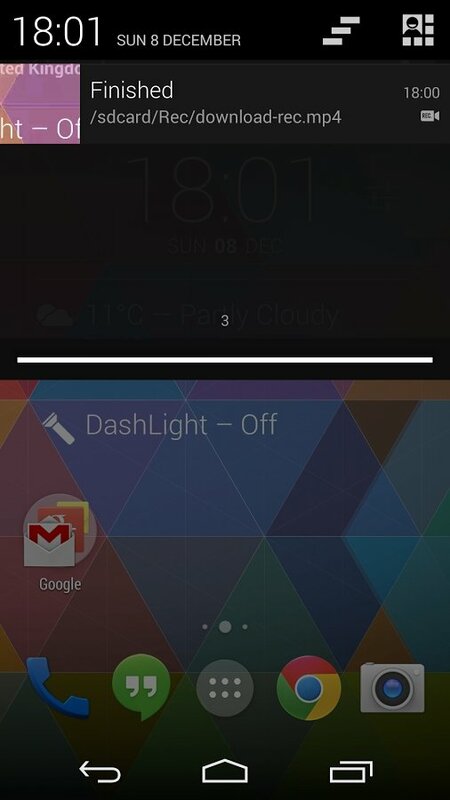 that provides us with a shortcut to the Screen Record function included in Android KitKat. Nevertheless, this time round the application offers the user an elegant interface that makes the whole process more intuitive and simple. 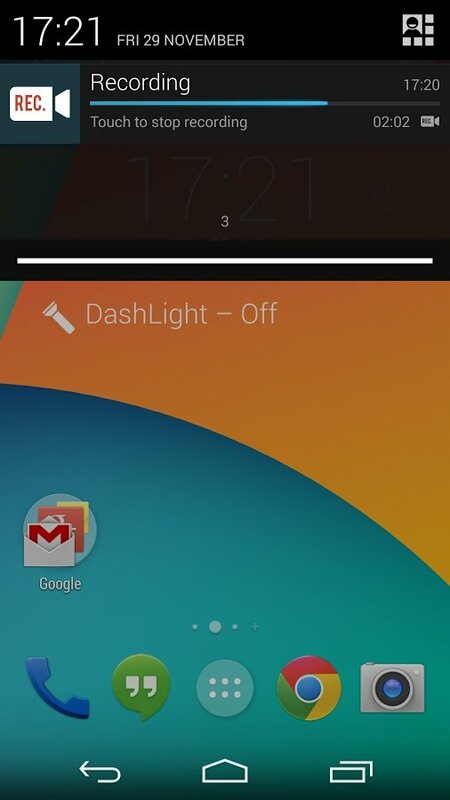 Great improvement to Android 4.4's screencast function. Therefore, Rec. 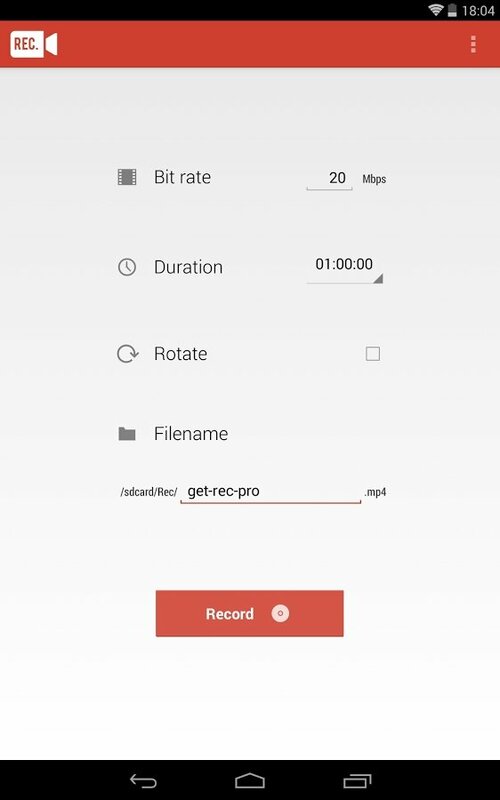 offers better access to your phone's screen recording, a function that can be useful to create tutorials or share with your friends any activity carried out with your phone. It's an application that improves the already interesting option available in Android version 4.4. Up to one hour of video recording. Well-cared design of the user interface. Possibility to save preset configurations. 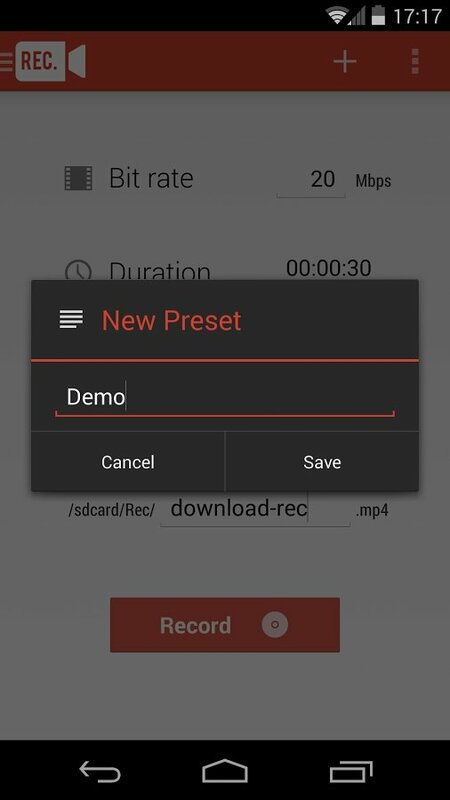 Customizable recording count down to adjust it to your needs. 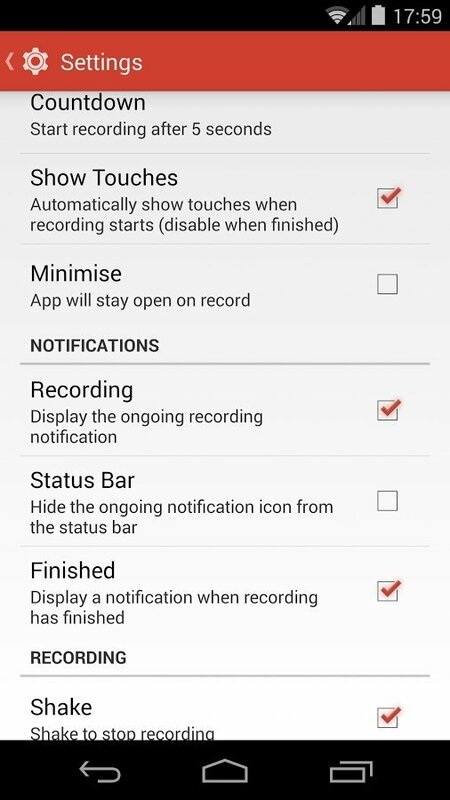 Stop the recording by shaking the device or turning off the screen. Download Rec. 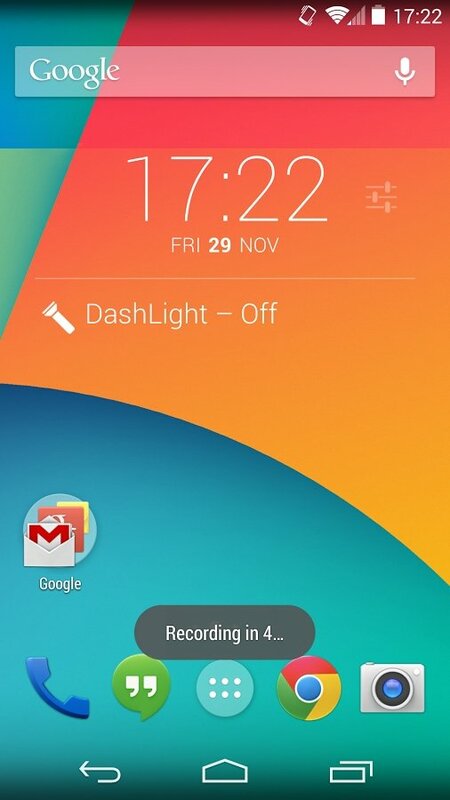 and you'll be able to record your Android' screen with an interface that simplifies the process.